Frozen Inferno Slots | 40 Paylines, FREE Spins & more! 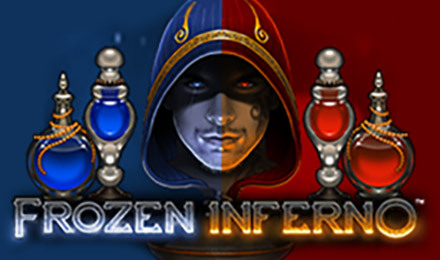 Fire and Ice is the theme in Frozen Inferno Slots, making for a very exciting game! There are 2 Wilds, FREE spins and more! Login and play now! Whether you’re feeling hot or cold, spin Frozen Inferno Slots today! This online slot game has 5 reels, and an exciting 40 paylines, an RTP of 96.63% and more! During the ice mode, the Ice Wild symbol will become a Frozen Wild, and in the fire mode, the Fire Wild, will turn into a Roving Wild, moving between spins. Once 5 Wilds have appeared, you’ll be granted with FREE spins! Good luck!